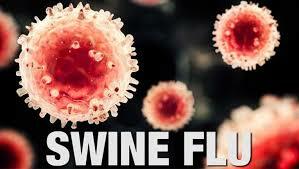 79 new cases of Swine Flu were registered on Monday in Rajasthan, this was stated in a data that was released by the Health Department of the state. In over a month (January 1 – February 11), 112 deaths were recorded due to the virus. 5 people died in the state and 1 each in Jaipur, Chittorgarh, Jaisalmer, Barmer, and Udaipur. On Monday, 36 new cases were filed in Jaipur, 9 in Barmer, 4 in JhunJhunu, 3 in Bikaner, Dausa, Udaipur, and Ganganagar, 2in Rajsamand, Ajmer, Kota, Jaisalmer, Jodhpur, and Sikar, 1 in Bhilwara, Alwar, Bharatpur, and Baran. The swine flu is a virus that is caused by the SIV (Swine Influenza Viruses) and the most common strain in India is the H1N1. The H1N1 virus is an airborne virus that can be passed if someone infected touches you, breathes near you, coughs near you, and sneezes near you. The symptoms of the virus are almost the same as normal flu which includes body ache, cough, sore throat, and fever.